If love is on your mind right now, join the crowd! 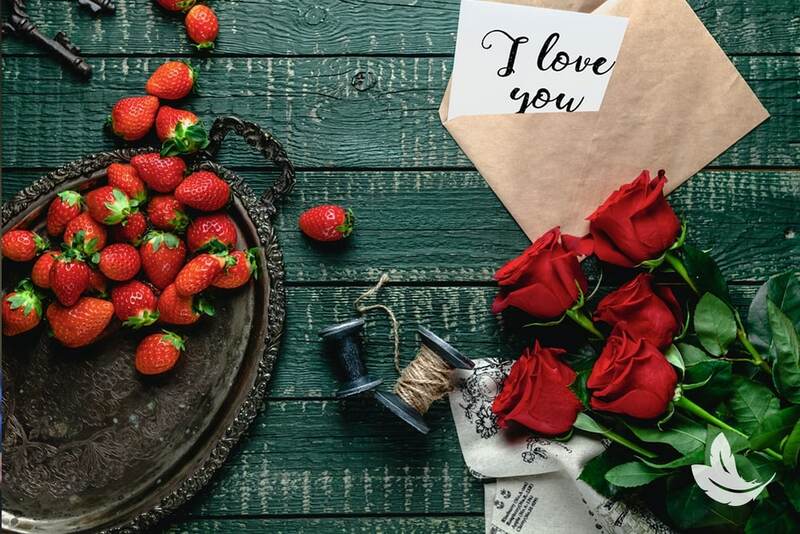 It’s the time of year when everywhere you look you see hearts, flowers, and ads for the one piece of jewelry that will express your love better than words ever could. Don’t get me wrong, I enjoy Valentines Day, and I’m looking forward to doing something special with Alexa. But, because of my conversations with my friends on the other side, I’m reminded of the importance of love in all its manifestations every day of the year. Every time I connect with Spirit, I learn something new about this powerful emotion. You CAN take love with you. While you’re living life in your physical body, it’s easy to get caught up in all kinds of things. You’re preoccupied with day-to-day stuff like work, bills, and what to have for lunch, plus you’re burdened with heavy emotions like resentment, pain and insecurity – negative feelings you’ve been carrying around for years. Guess what? You can’t take those with you! When you die, you let go of your to-do list, and along with it the negative feelings. All that’s left are the pure, higher emotions like love, forgiveness and compassion. Based on my conversations with Spirit, I picture it like this. When you die, your soul passes through the veil that separates the physical world from the spiritual one. It’s kind of like stepping through a screen or filter. You leave the pain, illness and all the negative emotions on the other side of the line, and only the fine, “light” emotions can pass through with you. That’s why the Spirit people send so many messages about love. They realize that love is the one thing that endures through lifetimes, and they’re desperate to share that message with the people who they have left behind in the physical world. 1) There’s always time for love. Not making love a priority in life is one of the regrets that I hear most often when I channel Spirit. When souls pass over and go through their life review, they suddenly see all the opportunities to share and express love that they missed, and they wish they had put love first. It’s too late to do anything about it, so they watch over the living – hoping for a chance to share what they’ve learned. When there’s a medium around, they do everything they can to let their loved ones know how much they loved them in life, and to show them that love endures even after death. 2) Love is a gift you give yourself and share with the world. From their vantage point in the Spirit world, your loved ones watch over you and want to see you happy. They want you to know that the very best way to feel love is to give love. Loving gestures and gifts of kindness help you to attract more love into your life, so do something nice for someone –a family member, a neighbor, a pet. It will enrich your own life, and make the world a better place. 3) Don’t let grief or fear keep you from loving. When someone passes over, their greatest wish is for those they left behind to be happy and to experience love again. So even if you’re grieving, don’t wall yourself off from others, and don’t feel guilty when the time comes that you’re ready to love again. Know that your loved one in Heaven is smiling down on you and wishing you the best. If you keep your eyes open, they might even send you a sign of encouragement! Enjoy Valentines Day, and when it’s over, I hope you’ll take some advice from the Spirit people and keep your love “light” burning every single day of the year.